FastMinis SupraGrip seat cover with FastMinis logo - Yamaha ttr-125 FastMinis (by Fast50s) only manufactures the best quality parts! 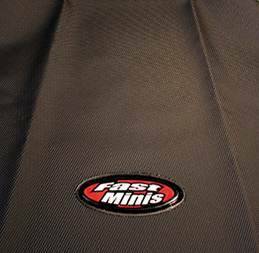 Cover embossed with FastMinis logo on back rear of seat cover. Keep in place when roosting out of any turns. Made in America!